KZN Health MEC, Dr Sibongiseni Dhlomo, has encouraged hundreds of young health professionals not to be afraid to leave their comfort zone, but rather be prepared to go out and help their fellow neighbours in some of the province’s most rural and poorest areas. 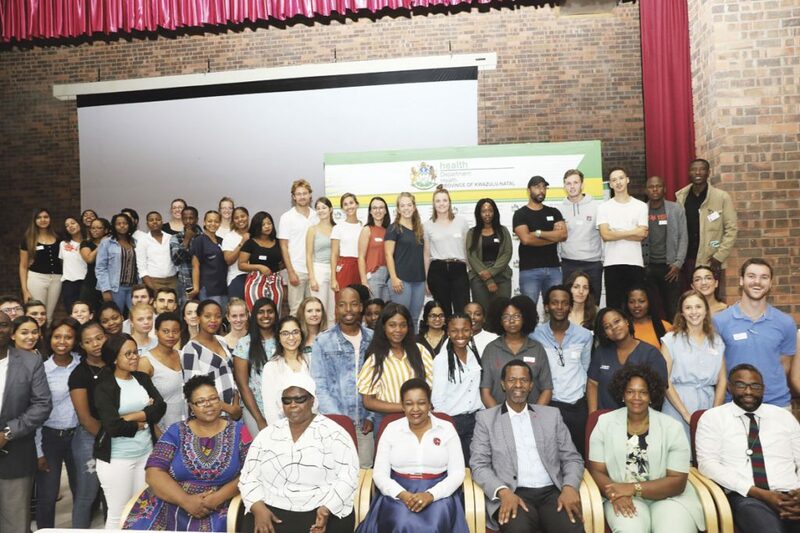 The MEC was speaking in Durban at a workshop on 5 February for the orientation and induction of 268 students who originate from universities around the country, and had begun their 12 months community service. service in your respective professions,” says MEC Dhlomo. of our citizens even the rural areas,” he added. The MEC said that exposure to different cultures and languages for the community service officers will be beneficial and help make them more culturally aware and well-rounded citizens. happy to be outside of Durban. Ekhombe was rural, but it’s been an experience. I’ve learnt a lot in terms of my work. I’m looking forward to learning to speak IsiZulu, and to getting to know the community better, and make a difference,” she said. Another audiologist Thobeka Maphumulo, originally from Harding, is placed at Greytown Hospital. She says she’s looking forward to making a difference in her new community. “I’m looking forward to being innovative. The people are very happy to have us, and that encourages us to continue working hard,” she said. “I’m really happy where I’m placed. I service nine clinics. What I’m looking forward to the most this year is helping the poorest of the poor, and helping the people who are really disabled to gain independence in communities, and raising awareness about mental health and disability, because that’s what I’m passionate about,” said Yashnita Ramsunder, an occupational therapist based at Gamalakhe Clinic, outside in Port Shepstone.